...Of Things Past has been in business since 1996. We are a consignment showroom of finer home furnishings. 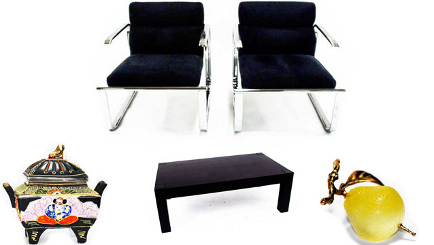 Our showroom is stocked with furniture and accessories of good quailty at lower than retail prices. Our customers come to us to buy and sell their special items. We have created a beautiful environment and atmosphere in which our customers can browse and shop. Our customers not only return again and again, but also bring in friends to show them their great find. A large number of our customers are interior designers and architects. We have items for every type of taste and décor. We offer opportunities for students who have great interest in product photography, copywriting and/or e-commerce. If you are looking to gain experience in the consumer goods industry, then check out our current opportunities and apply to work with us today.